A fire safety expert previously contracted to work on Grenfell Tower has said sprinklers would have stopped the fatal fire from spreading. Paul Atkins said sprinklers give people a “99% chance of survival” and would have stopped flames taking hold. It comes as a BBC London survey reveals a nationwide rush to retrofit systems has led to demand outstripping supply. Kensington and Chelsea Council said it would not comment until the public inquiry into the Grenfell fire. Mr Atkins is director of M&P Fire Protection which maintained the dry riser in Grenfell Tower and the sprinkler systems of surrounding buildings. He told BBC London: “If they’d had a sprinkler system the fire would have been deluged before it got to the cladding. “People would’ve had plenty of time to leave the building. 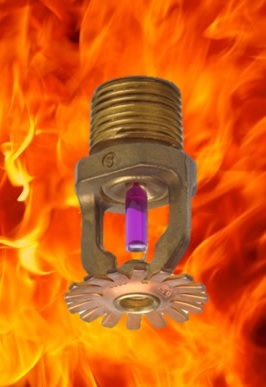 Meanwhile a BBC survey has found sprinkler firms across the country are unable to keep pace with landlords’ demands for the systems following the Grenfell tragedy. 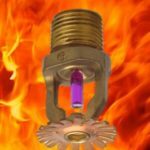 At least two London councils, Wandsworth and Croydon, have committed to installing sprinkler systems in all their housing blocks of 10 storeys or higher. However Croydon Council told the BBC it would be next spring before these works are complete. Mr Atkins said a sprinkler system could have been installed in Grenfell Tower for between £500,000 and £700,000. However he praised Kensington and Chelsea Council for its general approach to remedial work. Mr Atkins also surveyed the Lakanal House tower block in south London – where six people subsequently died during a fire in 2009 – and provided a quote to Southwark Council for installing a sprinkler system. During the inquest into that tragedy he made clear that sprinklers would have helped. Stewart Kidd, a consultant and former director of the Fire Protection Association, said: “Grenfell would not be built now as the fire regulations changed in 2007. “However regulations are not retrospective which means existing buildings don’t have to comply with new standards. Of the Grenfell fire, he said: “The flat where the fire started would have been badly damaged by the fire, but it would have been contained. “It certainly wouldn’t have spread to the cladding. A Kensington and Chelsea Council spokesman said: “The right forum for these matters to be explored is the public inquiry into the Grenfell Tower fire. “We are committed to cooperating fully with the inquiry and ensuring our residents get the answers they deserve. Southwark Council has made no comment.